I wanted to create another boot cuff pattern! It’s the time of the season… and they are so easy to make! Quick project, beginner friendly & a great gift as well! Rep rounds 1-4 for desired length. End pattern on a Round 2. Pull yarn through & sew in ends. Make a second boot cuff the exact same way. Pattern Notes: This pattern is easily adjustable. You can knit the ribbed & seed sections as long as you desire. If you need to adjust this pattern be sure to do so in multiples of 4. This pattern can be easily converted to straight needles as well. 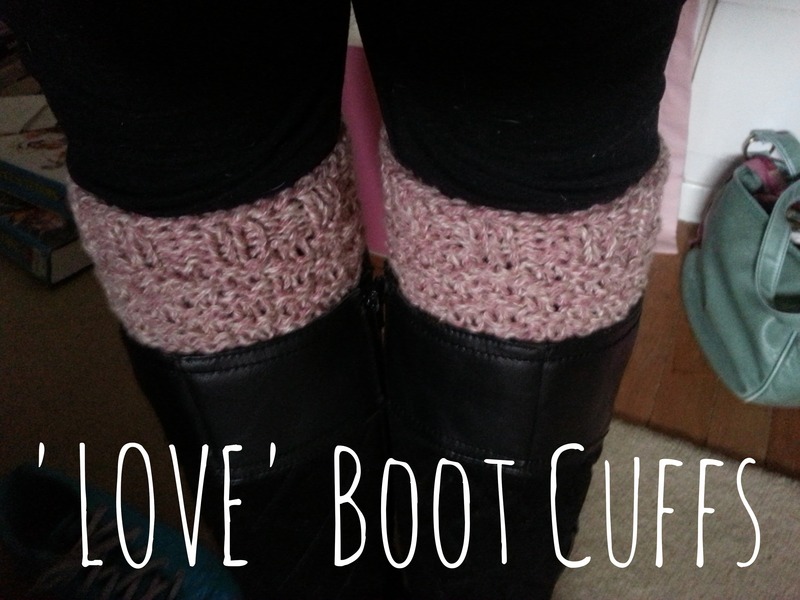 I am calling this my ‘love’ boot cuff because this design looks like little hearts to me! I think these would look great in a number of colors. 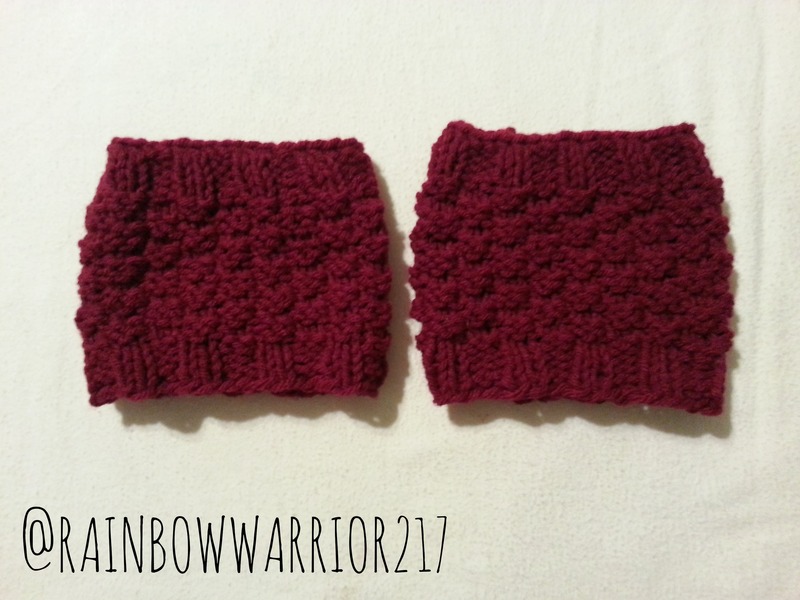 I originally made them in a multi-color yarn & the design is not as noticeable as I expected. I would definitely recommend using a solid color yarn! If you use these links it won’t cost you any extra but you will be helping continue my work. Thanks for your support! Any contribution, however small, is greatly appreciated! Under “Needles” you list “Size US 8 / 5.0 mm circular 16″. But, in the cast on (CO) instruction you say, “CO 40 st [US 10 circular needles 16″].” I’m confused — what size needle(s) should I use? Definitely a mistake! I use the Size 8 needles… thankk you so much for letting me know so i can fix the typo! Happy knitting! Sorry for the inconvenience. Happy knitting! Love this pattern! I’m using a multi color wool yarn and making leg warmers. So far they are turning out beautiful! Thanks for sharing your pattern! I also really love your cable boot cuffs! They turned out great. Thank you so much! I think this pattern would look amazing as leg warmers 🙂 Sounds absolutely beautiful, happy knitting! How would you convert to straight needles? Thanks so much! Hope this helps, don’t forget to add an extra knit stitch on each end so you can seam up your boot cuffs! Your boot cuffs are beautiful. I tried making them, but they are too big for my legs. How many CO stitches would I be able to decrease to? Thank you! Thank you! Be sure to adjust your stitches in multiples of 4 for this pattern. I’m not sure how much smaller you need to make your boot cuffs but mine measure 12 inches around & about 4 stitches = an inch for me. Measure your finished cuffs and determine how much smaller you want to make… so 2 inches smaller, cast on 32 stitches. Hope this helps! Let me know if you have further questions… 🙂 if you give me some measurements I would probably be able to give you an exact number to cast on but everyone has different yarn, leg size, etc.! Really anxious to start on these but I want to make sure I get the measurements correctly. In your reply above you said co 40 = 12 in circumference… Would that mean for my cuffs to be 16in in circumference i would need to cast on 56 stitches?? And does that affect the pattern as well?